This topic contains 2 replies, has 1 voice, and was last updated by Billy 4 years, 5 months ago. Winsconsin John ie: John Favill posted a comment on the Howl regarding his favourite artist . As well I as John also claim J.M.W. Turner as my favourite, although I take great pleasure in viewing the works of our local artists including our long time member Emmie Benbow. Whats the current project Emmie. As I said before J.M.W.Turner is my all time favourite artist and I have many old engravings of his work, unfortunately most of them depicting scenes abroad. This engraving of a painting by Sir William Quiller Orchardson is a particular favourite of mine. 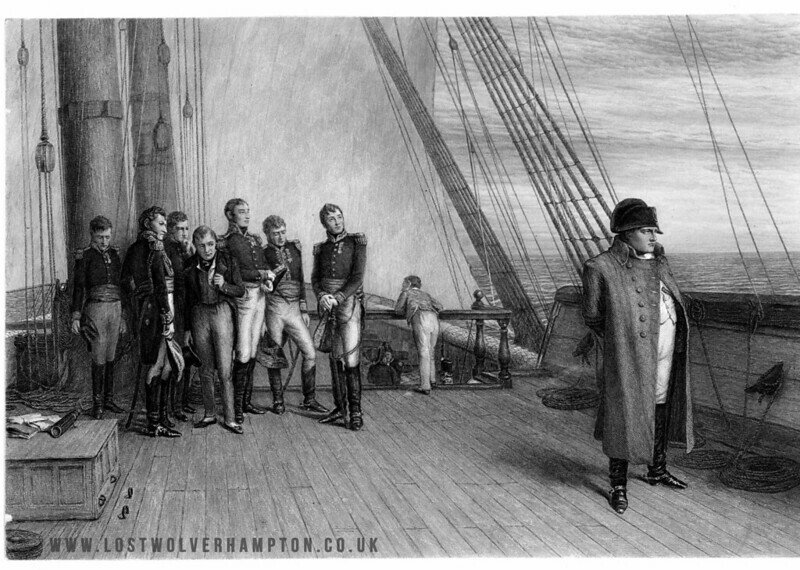 It shows Napoleon on board HMS Bellerophon bound for St Helena, where he remained in exile until his death in 1821. The deposed Emperor stands on the deck, isolated from the group of officers on the left, who watch him with curiosity as he looks out to sea, contemplating his fate. 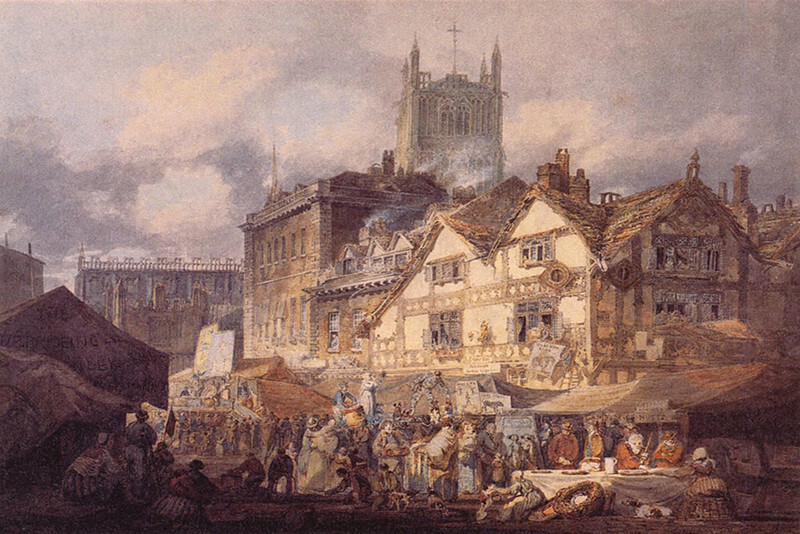 I mentioned previously I have a great fondness for our local artists here in Wolverhampton. 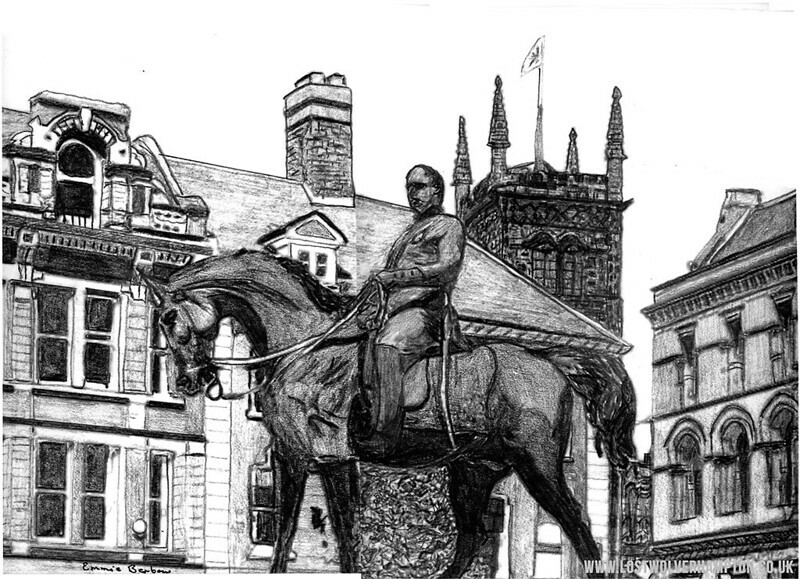 The one that say’s every thing for me, is this evocative print of Prince Albert in Queen Square by Emmie Benbow. Which was given to me by the artist herself.